This isn’t your typical gumbo. It has no okra, no shrimp, no andouille. This is a greens dish. I don’t know about you, but some times I crave meals like this. The history of this gumbo is interesting. Catholics in Louisiana traditionally served it during Lent, and particularly on Good Friday when they were to abstain from meat. 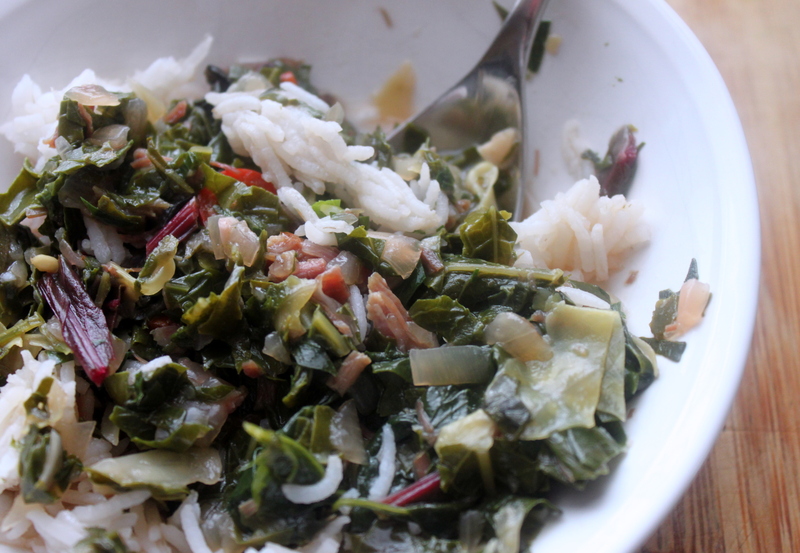 It typically has seven types of greens for good luck — mustard greens, collard greens, cabbage, beet greens, turnip greens, spinach and parsley. As time went on, Louisianans began sneaking in meat for added flavor. Some used seafood. This recipe calls for smokey ham. This gumbo is a tonic. 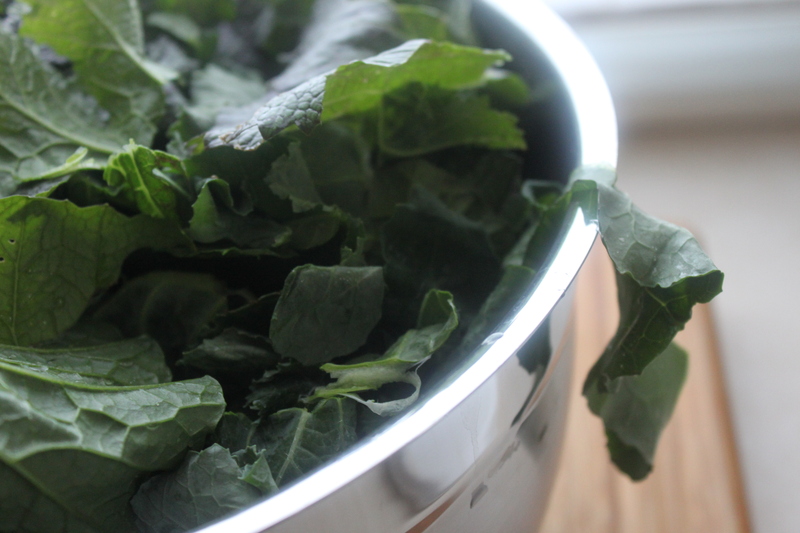 The greens — several pounds of them — cook down until they’re soft and silky, and then infuse your body with just about every nutrient and mineral imaginable. Hot sauce is essential here. Even if you’re not a fan of heat, add a shake or two to your bowl and see what you think. It adds an extra layer of favor. If you can’t find all the greens listed here (because they aren’t always available), don’t fret. Just add more of the other greens to compensate. Do try, however, to maintain the ratio of bitter and mild greens. The mix of sweet and pungent makes for a more complex, though subtle, flavor. No matter the combination, however, this should turn out great.